Join us as we talk about hip-hop, race relations, spoken word poetry, social media, mainstream media, Dave Chappelle, Tupac, Kendrick Lamar, Terrell Owens, and so much more. Check out this amazing interview with Sam Damask where we discuss his music video for Grand Commander – Bad Bad Rabbit, Chiptune, being a solo artist, artistic integrity, video games, play a fun quiz, and much more. It’s been two years since Conor Oberst released anything. Supposedly he has an album coming out soon (thankfully), but in the meantime, I’ve found a suitable replacement. Mutant Daises have created this 7 minute epic that mixes folk music, philosophy, and haunting vocals to create a beautiful track that keeps me wanting more, despite the long run time. This actually fits in pretty well with some discussion we had on our more recent podcast (listen here) about why bad things happen to good people. I tend to think there isn’t some cosmic reason or anything, though I understand why some people think there needs to be. But I think Mutant Daisies definitely bring up that painful question in an important way throughout this song. 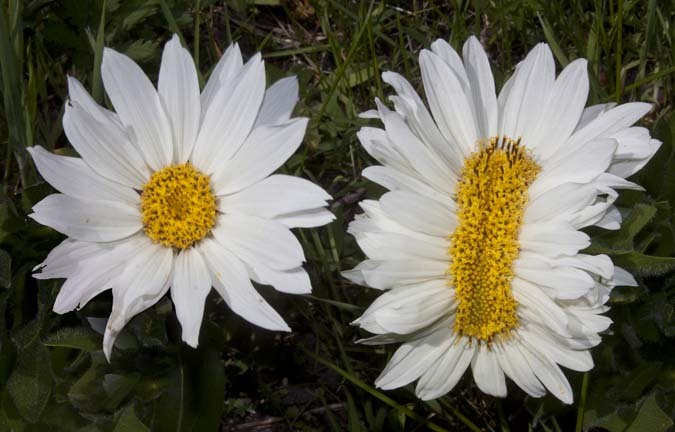 Now after checking Snopes, it seems a little iffy on if these mutant daisies were actually caused by nuclear radiation after Fukishima, but it is possible. And honestly, sometimes I’m not sure they need to be true for the image to matter. Now obviously, fake news is fake news, and it’s negative in it’s own way. But if this causes people to consider the environmental impact humans have on nature, I think that’s positive. They say that only good mother nature suffers sorrow. Remember Thom Joseph from our podcast? We featured him here: Episode 11: Secrets (Part 1/2) And we also did an interview with him here: Secrets Interview: Thom Joseph where we learned all about his view on conspiracies and Seattle (not related). Let us know what you think in the comments below. And as usual, go support the artist!